Match ends, Burton Albion 1, Walsall 2. Second Half ends, Burton Albion 1, Walsall 2. Attempt missed. Elliot Hodge (Burton Albion) right footed shot from outside the box is just a bit too high. Attempt missed. Elliot Hodge (Burton Albion) header from the centre of the box misses to the left. Attempt missed. Jake Hesketh (Burton Albion) right footed shot from outside the box is close, but misses to the left. Goal! 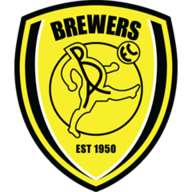 Burton Albion 1, Walsall 2. Marcus Myers-Harness (Burton Albion) right footed shot from the centre of the box to the bottom right corner. Assisted by Marvin Sordell. Maz Kouhyar (Walsall) wins a free kick in the defensive half. Substitution, Walsall. Andy Cook replaces Connor Johnson. Reece Hutchinson (Burton Albion) wins a free kick on the right wing. Foul by Connor Johnson (Walsall). Corner, Walsall. Conceded by Reece Hutchinson. Connor Ronan (Walsall) wins a free kick in the defensive half. Foul by Elliot Hodge (Burton Albion). Attempt blocked. Jake Hesketh (Burton Albion) right footed shot from the centre of the box is blocked. Jake Hesketh (Burton Albion) wins a free kick in the defensive half. Foul by Tobias Hayles-Docherty (Walsall). Callum Cockerill-Mollett (Walsall) is shown the yellow card for a bad foul. Attempt missed. Joe Sbarra (Burton Albion) right footed shot from outside the box is close, but misses to the left. Substitution, Burton Albion. Marcus Myers-Harness replaces Devante Cole. Substitution, Walsall. Tobias Hayles-Docherty replaces Dylan Parker. Substitution, Walsall. Callum Cockerill-Mollett replaces Kieron Morris. Joe Sbarra (Burton Albion) wins a free kick in the attacking half. Foul by Jordon Sangha (Walsall). Attempt missed. 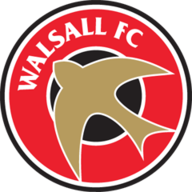 Josh Gordon (Walsall) left footed shot from the left side of the box misses to the right. Reece Hutchinson (Burton Albion) is shown the yellow card for a bad foul. Dylan Parker (Walsall) is shown the yellow card for a bad foul. Foul by Dylan Parker (Walsall). Substitution, Burton Albion. Elliot Hodge replaces Jake Flannigan. Substitution, Burton Albion. Marvin Sordell replaces Will Miller. Jamie Allen (Burton Albion) wins a free kick in the attacking half. Corner, Burton Albion. Conceded by Kane Wilson. Attempt blocked. Jake Hesketh (Burton Albion) right footed shot from outside the box is blocked. Jake Hesketh (Burton Albion) wins a free kick in the attacking half. Foul by Jake Flannigan (Burton Albion). Jack Fitzwater (Walsall) wins a free kick in the defensive half. Second Half begins Burton Albion 0, Walsall 2. First Half ends, Burton Albion 0, Walsall 2. Kane Wilson (Walsall) wins a free kick on the right wing. Corner, Burton Albion. Conceded by Nicky Devlin. Attempt missed. Devante Cole (Burton Albion) header from the centre of the box is high and wide to the right. Lucas Akins (Burton Albion) hits the bar with a header from the centre of the box following a corner. Attempt missed. Josh Gordon (Walsall) right footed shot from outside the box is close, but misses to the left. Attempt blocked. Lucas Akins (Burton Albion) header from very close range is blocked. Corner, Burton Albion. Conceded by Jack Fitzwater. Attempt blocked. Devante Cole (Burton Albion) right footed shot from the left side of the box is blocked. Will Miller (Burton Albion) wins a free kick on the left wing. Attempt blocked. Devante Cole (Burton Albion) right footed shot from the centre of the box is blocked. Attempt blocked. Will Miller (Burton Albion) right footed shot from the centre of the box is blocked. Goal! Burton Albion 0, Walsall 2. Josh Gordon (Walsall) right footed shot from the centre of the box to the centre of the goal. Assisted by Nicky Devlin. Jordon Sangha (Walsall) wins a free kick in the defensive half. Chris Beardsley (Burton Albion) wins a free kick on the right wing. Will Miller (Burton Albion) wins a free kick in the defensive half. Goal! Burton Albion 0, Walsall 1. Kieron Morris (Walsall) right footed shot from the centre of the box to the bottom left corner. Assisted by Maz Kouhyar.